In progress. It is WIP Wednesday after all. This week my main focus has been these socks. They are flying by and I only have less than 1 1/2 cable repeats left before I’m done the leg! This is sock #1. The pattern I’m following is Soft Cable Socks. 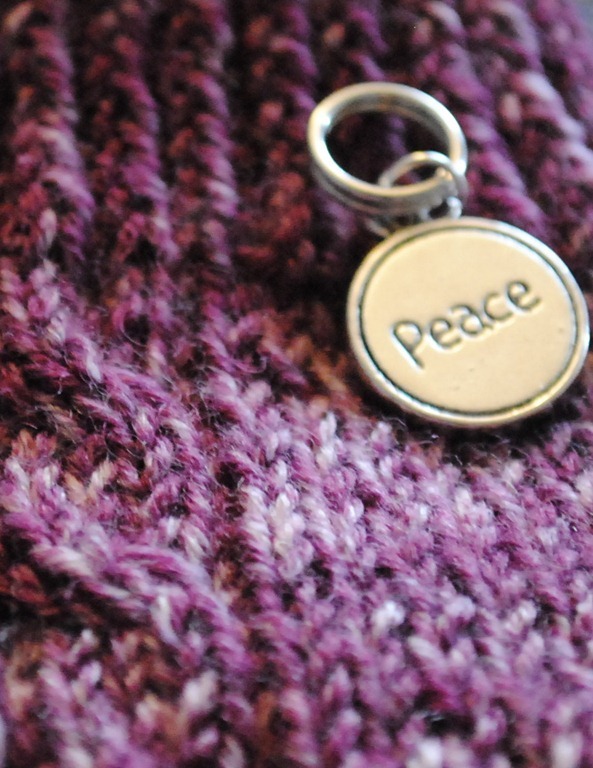 I’ve had a kind of rough week, so I’ve been listening to pink floyd and knitting this morning, and I do feel, at peace. Whatever happens will happen! 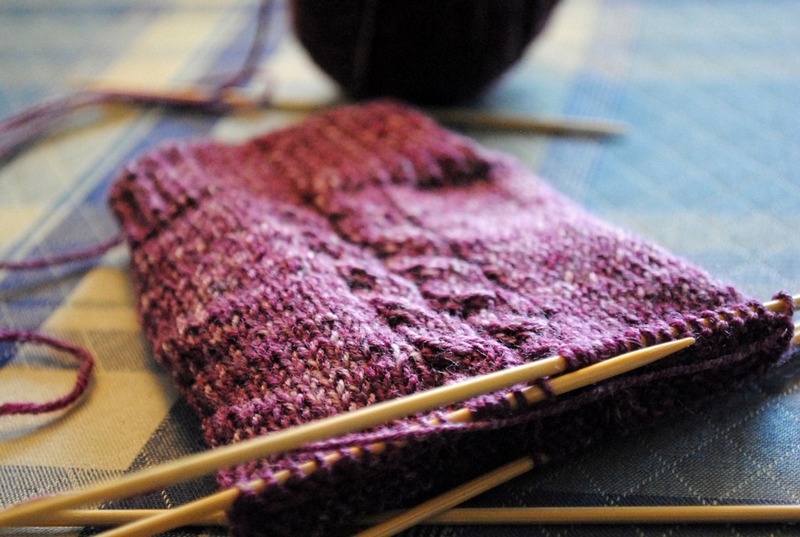 These socks are quick and fun, and I can’t wait to be able to wear my own hand knit socks. 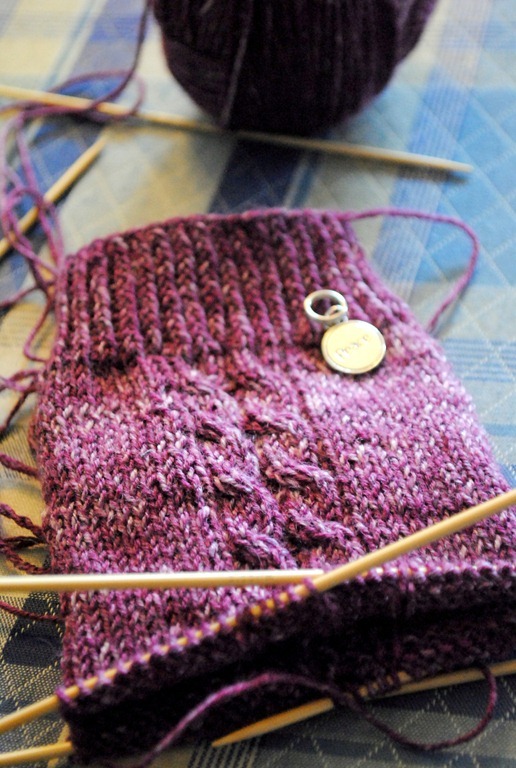 My only other pair for myself were never finished, as I don’t LOVE them and I lost the sheet that indicated the changes i made to the first sock! noooo. I’m sure I’ll improvise it eventually, but right now I’m feeling these ones a lot more. That’s what I’m working on today, what about you?